Last spring Michael bought me the most wonderful Mother’s Day gift. He always gives me big baskets of fuschia, my favorite hanging flowers, but this time he also bought two large Meyer lemon trees. We already had one that was still small, but these were large. I mean they had tons of blossoms and about a dozen small green lemons already on them. I was so surprised and happy! They sat out on our deck in large pots all summer, basking in the sunshine, growing and ripening. When the weather turned cold, we moved them into the sunroom where they would still have plenty of light and warmth. And we waited for the lemons. We were finally able to harvest our lemons, and we have been so happy with them. We’ve used them in pie and cakes, and the flavor is fantastic. If you can find some way to have a potted Meyer lemon tree, it’s well worth the experiment. As long as I don’t inadvertently kill them off, we’ll have lemons and the intoxicating fragrance of the lemon blossoms for years to come. 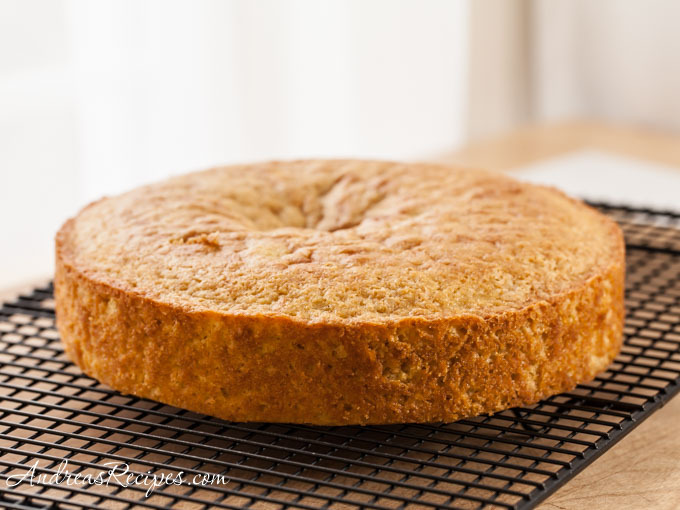 One of my favorite new recipes for the lemons is this Lemon Polenta Cake from Cooking Light. It’s served with a winter fruit compote spooned over the slices, and the Meyer lemons worked beautifully with it. You know how some cakes are tons of work? This one is not. 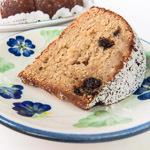 It’s a one bowl cake that you can whisk together in just a few minutes, making it a great after school snack, and it’s moist and pretty enough to serve to guests. An all-around winner. Funny story about the day I made this. Schools in our area have been closed many days this winter due to all the snow and ice days. So the boys were home, yet again, and one monkey who shall remain nameless stuck his finger in the middle of the cake while it cooled. Can you tell? Apparently the culprit needed something extra special and fun to do on another snow/ice day. Like sticking fingers in the cake. 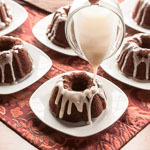 CAKE - Lightly spoon flour into dry measuring cups and level with a knife. Whisk together the flour, sugar, cornmeal, baking soda, and salt in the large mixing bowl. Make a well in center of the mixture. In the medium bowl, whisk together the buttermilk, olive oil, eggs, and lemon zest. Add the buttermilk mixture to the flour mixture, stirring until moist. Pour the batter into the prepared pan. Bake in the preheated oven until wooden pick inserted in center comes out clean, about 40 minutes. Cool in the pan for 10 minutes on a wire rack. Remove from the pan and cool completely on a wire rack. 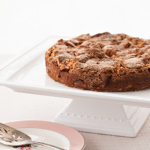 FRUIT COMPOTE - While the cake bakes, combine the apple cider and raisins in the small saucepan over medium-high heat and bring to a boil. Reduce the heat, and cook until reduced to 2/3 cup, about 4 minutes. Add the fresh cranberries and cook until the cranberries pop, about 3 minutes. Add the chopped pears and cook just until pears are tender, about 3 minutes. Remove from heat and stir in lemon juice. Serve warm or at room temperature. I make my own buttermilk with lemon juice and milk. Just add 2 tablespoons of the Meyer lemon juice to the measuring cup, then add milk until you have 2/3 cup. Let it sit on the counter until it starts to curdle, about 10 minutes, then it's ready. Oh, I envy you your Meyer lemon trees–I don’t think I could keep them alive in NC. How lovely to have that heady fragrance and that gorgeous fruit almost whenever you want! Thanks for including my lemon olive oil cake. Lemon is such a wonderful flavor and goes everywhere from appetizers to dessert! Thanks Jenni. I wasn’t sure the trees would live, but they have done well so far! I would certainly like a slice of that cake here in Honolulu, Hawaii. The fruit compote is a great balancing flavor idea. Could you use fresh pineapple or mango from the islands? Hi Miguel. 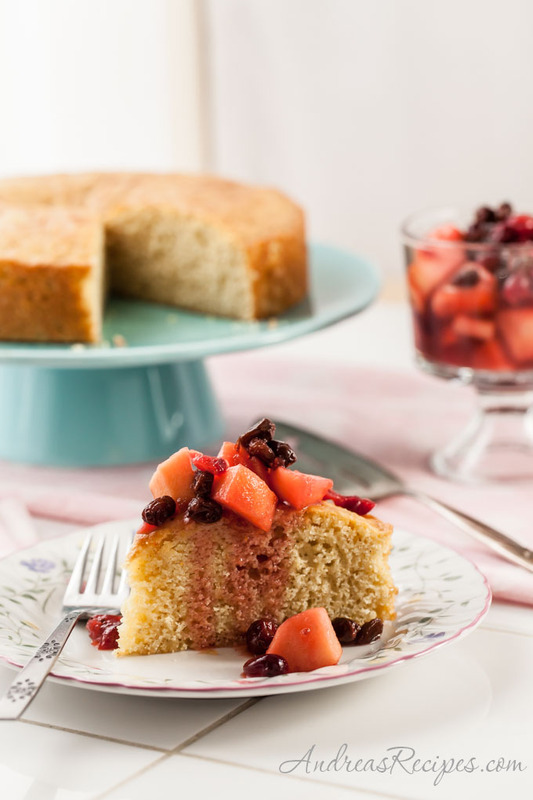 I’m sure an island fruit compote would be delicious with the cake. Wow – homegrown lemons, that’s a thing I can only dream of (at least for now) :-). Awesome that you’ve got such a great harvest with your lemons! Besides that your cake sounds and looks absolutely tempting, I’ll try it soon for sure (but with storebought lemons of course) 🙂 Thanks for the inspiration! Thank you Sabrina! Seeing all those lemons on the tree made me smile. Hope you enjoy the cake. Your meyer lemon trees are gorgeous!! And so is this cake. It looks delicious, and that fruit compote is the perfect topping! Thanks Cate! My guys love the flavors of the lemons and other fruits together. If you have a surplus of those lemons, you know who to dump them on! 😉 Your cake looks absolutely scrumptious!